This sense of mission was no doubt informed by the fact that his own education was truncated by the death of his father when he was yet a little boy and the consequent lack of means. He commenced the enhancement of the educational fortunes of Nigerians by awarding scholarships to indigent students in the country to study at the primary, secondary and tertiary levels. 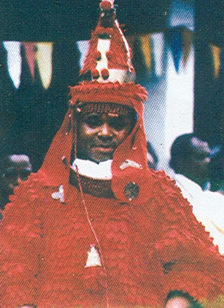 It is on record that he single-handedly built and donated Okada Grammar School, Okada to his people in 1972. (a) Igbinedion Montessori Nursery/Primary School. 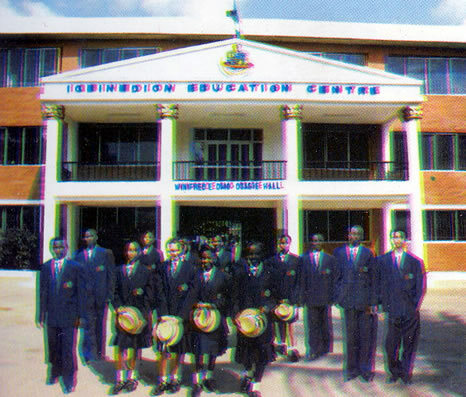 (b) Igbinedion Montessori Teacher Training Centre. Engineering, Computer Science, Accountancy, and other disciplines in Nigeria and overseas. Some have indeed completed their University education. The Igbinedion Education Centre is the sole trustee of the Montessori Concept of Child Education on this part of the globe. ceremony at Abuja on Monday, 10th May 1999. The Igbinedion University is already a reality, as it will hold its second convocation ceremony for the award of degrees and certificates to graduands on Saturday, 27th November 2004. 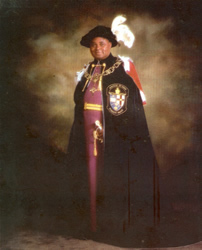 Chief Igbinedion therefore holds an enviable record as Founder/Chancellor/Chairman, Board of Regents of the first private University in Nigeria. 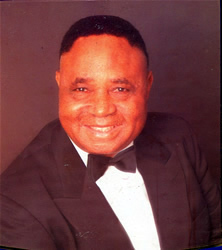 His contribution to education in Nigeria and indeed sub-Saharan Africa has thus become legendary and unprecedented.